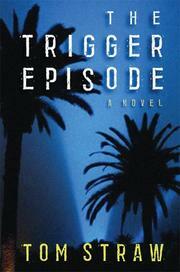 Shoot the trigger episode of a hot TV sitcom and everybody goes home laughing. But how do you do that without the star? Bonnie Quinn, star of the long-running Thanks for Sharing, has vanished. Though it’s not much of a surprise for a notorious flake, substance abuser and Wicked Witch of the West Coast, the disappearance of the series’ sine qua non brings out Hardwick, a paparazzo fallen from grace, once a Pulitzer Prize–winning photojournalist, now a representative of a breed almost as detested as sitcom divas with over-inflated egos. But to industry mogul Elliot Pratt, producer of the show, what matters most is Hardwick’s track record. Twice he’s managed to find Bonnie when no one else could, to bring her back from darkest bingeville, and somehow in the process to earn her trust. If he can perform again, the 100th episode will go into the can, triggering the financial bonanza syndication makes possible. Without Bonnie, the series can expect an Elliot Pratt-fall. Despite his indispensability, however, Hardwick is not the kind of guy who’s easy for a mogul to deal with. Though he may be on his uppers, cynical and embittered, he’s managed to hang on to an inner compass whose needle points moral north. Then murder happens, and Hardwick learns that redemption can hide in unlikely places. A debut in the Chandler tradition—a bit derivative but never dull.